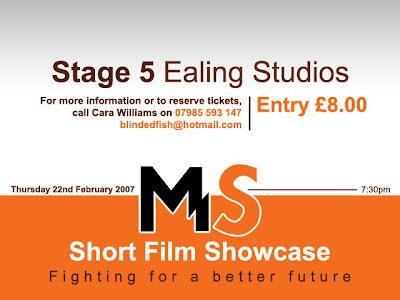 'Eight' and 'Hope' will be part of the MS Short Film Showcase on 22nd February. Go along and see some other great shorts and feel good about yourself as it's all for charity. It's run by Cara Williams so email her if you have any questions.